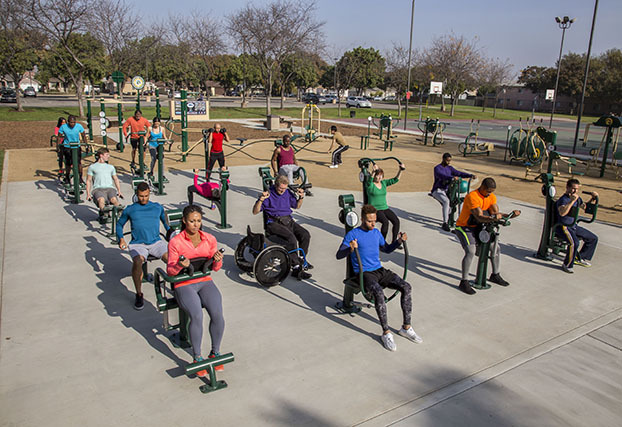 Greenfields Outdoor Fitness provides unique outdoor fitness settings that offer activities for users at all fitness levels. 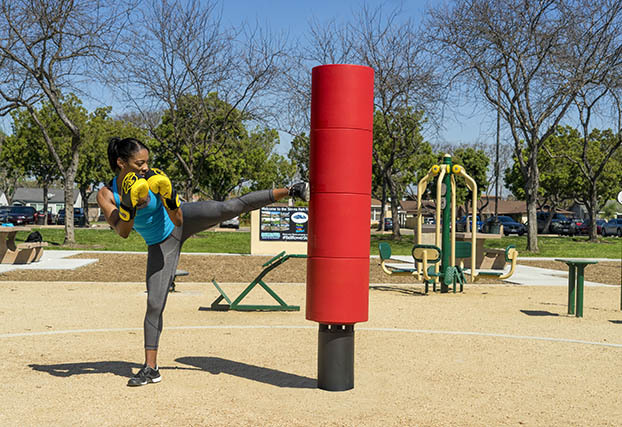 Embraced nationwide for its high quality and multi-generational appeal, the equipment provides a fun, socially-oriented style of fitness and is the number-one amenity for the community. Greenfields’ product line includes the Professional Series with adjustable resistance and the Signature Accessible Line for users in wheelchairs. 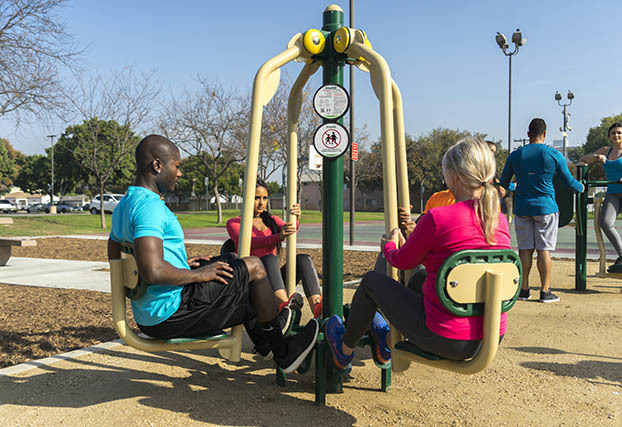 Greenfields Outdoor Fitness equipment is perfect for parks, senior centers, schools, universities, and more. 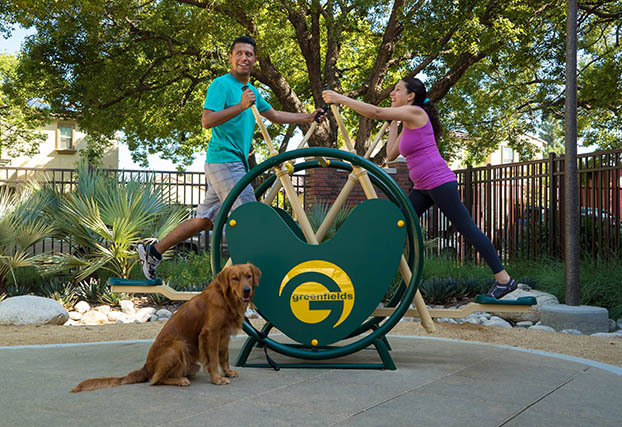 Greenfields Outdoor Fitness products can be seen in green spaces nationwide. For a location near you, call us at 888.315.9037. 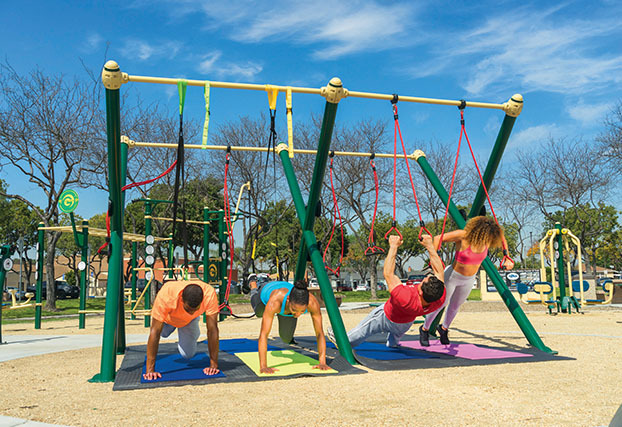 The Ultimate Outdoor Fitness Experience. 78 users on 44 units - our most comprehensive package. 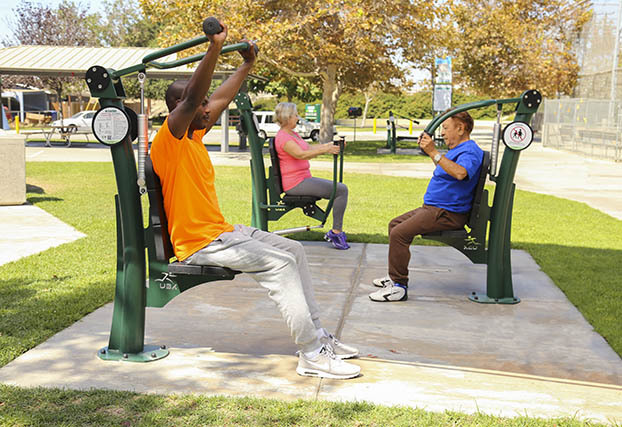 The ideal fitness solution for seniors. Plyometric Steps - A wide variety of exercises on just one 3-piece unit. 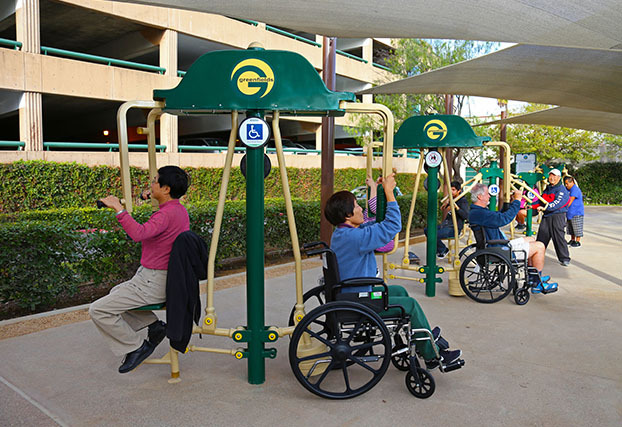 Greenfield's Signature Accessible Series allows those in wheelchairs to enjoy the benefits of outdoor fitness. A fantastic tool for Physical Education classes. 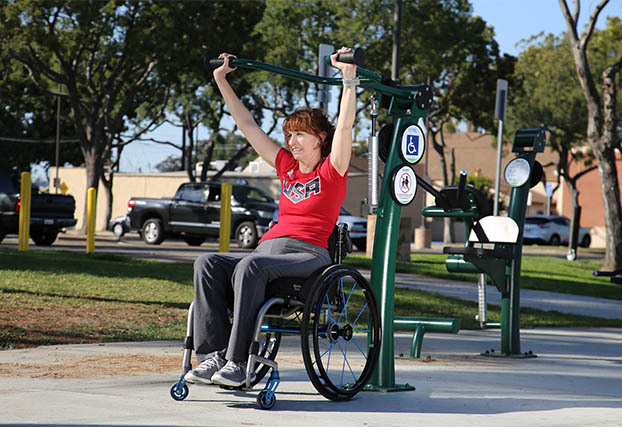 Adjustable resistance units provide a great workout for users of almost all ability levels. 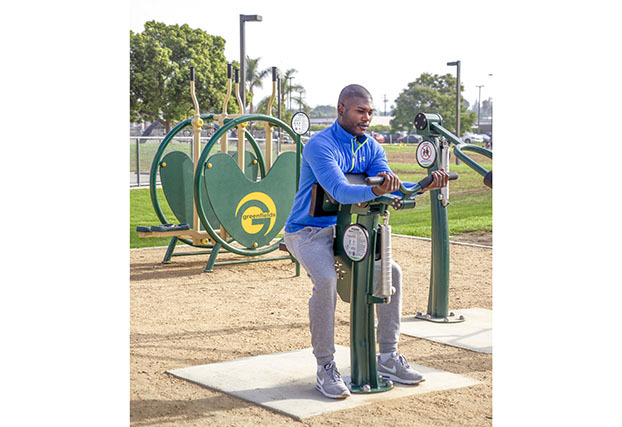 Professional Series Arm Curl - Revolutionary outdoor exercise equipment with customized resistance for a tailored workout. 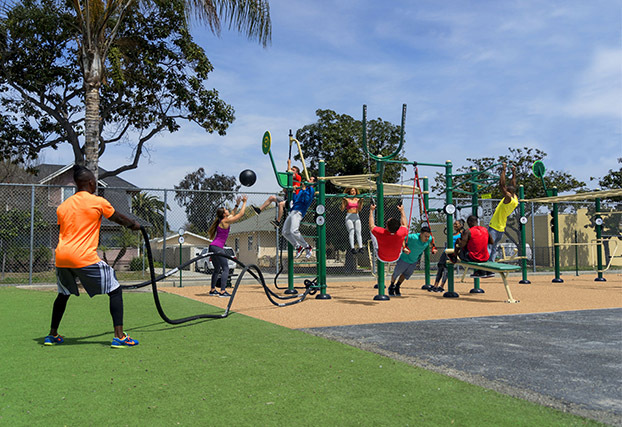 Greenfields Outdoor Fitness provides exercise equipment that requires no electricity to operate and eliminates the overhead required by indoor gyms.